If instead, you’re looking for a used Chrysler, Dodge, Jeep, RAM or pre-owned car in Longmont, we can help you there too. Browse our large selection of used RAM, Jeep, Dodge and Chrysler cars as well as cars, trucks and SUVs from other top manufacturers to find the right car for you. At Prestige Chrysler Dodge Jeep Ram we don’t just sell cars, we provide a complete car buying experience. We provide our greater Longmont, Fort Collins and Boulder customers with everything from Chrysler, Dodge, Jeep and RAM auto repair in Longmont, to RAM, Dodge, Jeep & Chrysler Parts to Longmont area car loan and lease financing. 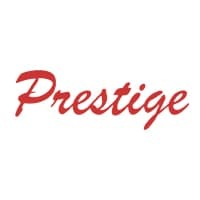 Come visit us today at 200 Alpine Street in Longmont, CO and let show you how easy the car buying experience can be at Prestige Chrysler Dodge Jeep Ram.